SS United States… what now? 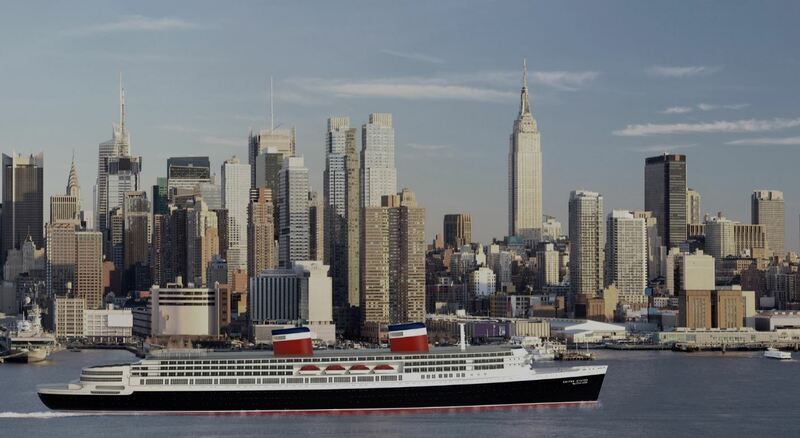 Earlier this year Crystal Cruises announced it would save the SS United States, “America’s Flagship”, and embark on the enormous undertaking of bringing the ship into compliance with the latest standards, and returning her to oceangoing service. Crystal Cruises planned to have the modern United States by Crystal Cruises transformed into an 800-guest-capacity vessel, featuring 400 luxurious suites measuring about 350 square feet with dining, entertainment, spa and other luxury guest amenities that are true to the ship’s storied history. While some of the ship’s original features would be retained, new engines and sophisticated marine technology was to be installed to maintain her title as the fastest cruise vessel in the world. “Over the past six months, Crystal has conducted an extensive feasibility study to restore ‘America’s Flagship’ to oceangoing service. Unfortunately, the hurdles that would face us when trying to bring a 65-year-old vessel up to modern safety, design and international regulatory compliance have proven just too great to clear in both a technically and commercially responsible manner,” said Crystal President and CEO Edie Rodriguez. Led by retired U.S. Coast Guard Rear Admiral Tim Sullivan, Crystal’s team of maritime experts and engineers conducted numerous assessments on the ship in the Port of Philadelphia, where it has been docked for 20 years. The evaluation and testing included in-depth assessments of the ship’s structural condition; underwater inspections of the hull by divers; the examination of her fuel and salt water ballasting tanks; and a series of intensive engineering studies to deduce what would be needed to bring her back into service. The technical feasibility study concluded that while the ship is remarkably intact and structurally sound, modifying the ship for today’s standards for oceangoing service (SOLAS) would require significant changes to the hull that would pose stability challenges. Additionally, the installation of a modern, state-of-the-art diesel electric propulsion plant would have necessitated altering of the existing shaft lines and rebuilding about 25 percent of the hull to reconfigure the ship to a twin shaft-twin rudder arrangement. While it was known that the vessel would need to have been essentially rebuilt from the inside out, these specific challenges, among others, collectively posed significant risk to the success of the project. The former RMS Queen Mary, now Hotel Queen Mary in Long Beach, California, may be an example of what the future might bring for the SS United States. For more on what a possible future for ‘America’s Flagship’ might look like see our post Queen Mary – history preserved. The decision by Crystal Cruises to drop their plans to save and relaunch the SS United States reminds us of the uncertain future of another famous oceanliner, QE2. You can read more on that uncertain future in our QE2: past – present – future? post. We can only hope that both grand ladies of maritime history will eventually have some kind of future other than the scrapyard.